The Epoxy Buzzer is a superb freshwater fly pattern and is very versatile in how you can fish it and what you can catch on it. This pattern can be adapted in various ways, and can be turned into a suspender buzzer by just adding a small piece of foam onto the Epoxy Buzzer. The pattern in the image was tied by Fish The Fly‘s very own Gavin Erwin, and has accounted for many Trout and Yellowfish since we started using it. It is a Suspender Epoxy Buzzer, and the Trout, especially, seem to love it. 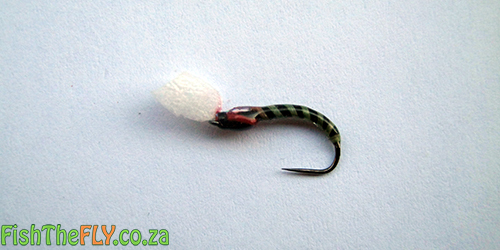 The suspending Epoxy Buzzer can be fished as an emerger, or just off the bottom and can be fished in tandem with a dry fly or nymph. The buzzer imitates midge pupae and the shape of this fly mimics exactly what the midges look like. A lot of the time you will see Trout rising, but not actually breaking the surface with their mouths. 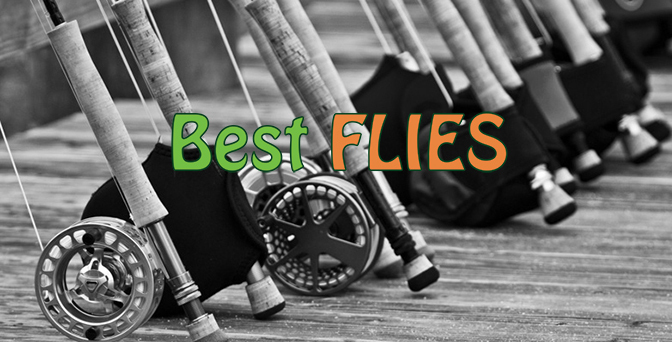 Their fins or backs come out of the water, this is because they are feeding on emerging insects that the Epoxy Buzzer mimics, and thus, this is the perfect time to fish this fly.